More talent has joined our US team! Julie Jones joined us in October 2018 as Manager of Miscellaneous and will be working out of the Chatsworth office. Julie has lived in Colorado, Kansas, but in the end still considers herself a Valley girl. For about 17 years now she has run a small business as a handywoman – helping people (mostly the elderly) out with maintenance jobs around the house and the garden. Word has spread and so she has been able to sustain, grow and enjoy the work for almost two decades. Needing a change to the up and down nature of the work as well as the physical effort it demands, Julie now finds herself at Artesyn focusing primarily on inventory-related tasks. On her free time, Julie is always up for anything outdoorsy and goes hiking almost every weekend. She lives for camping and road adventures and with her family and friends has by now been around all of the West-US. Julie definitely brings a fresh perspective to the team and a whole lot of enthusiasm to Chatsworth. Fingers crossed for more adventures together! 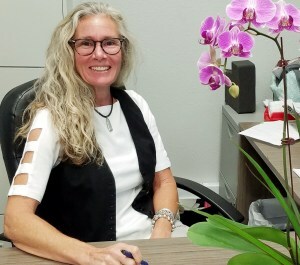 Tanya Kuna joined Artesyn in October 2018 as an Administrative Assistant and is a self-made and self-taught woman. At 17 she started out at dispensaries, where she worked herself to the top, eventually reaching a manager position and teaching herself management, accounting, and other necessary skills. She continued building on that experience in two other companies in which she was tasked with educating people about accounting and administration, eventually taking on the roles full-time herself. 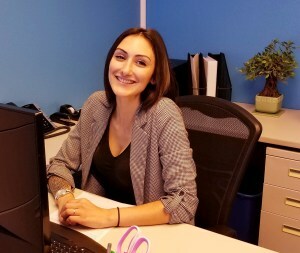 As for where she is now, she says that she values the integrity, reputation and potential for growth Artesyn possesses as a company and is looking forward to adding an even stronger foundation to her accounting, customer service management, and other administrative know-how. We can tell she is already contributing to the smooth daily running of the Chatsworth office and are excited to share in her dedication. Outside of work, Tanya is mainly involved in continuing her studies at a local college while leading a balanced and healthy life. She has moved around California a lot, but ultimately is drawn back to and feels most at home in the Valley. We are grateful to have Tanya on board and hope she continues to enjoy the fast-paced growth the company is going through and stays eager to shoot forward with us! A warm welcome to David Culp! David is one of the new members of our global Quality Team and will be working out of our Chatsworth Office. With more than 15 years as a quality engineer, David brings a lot of experience and a methodical eye to the team. 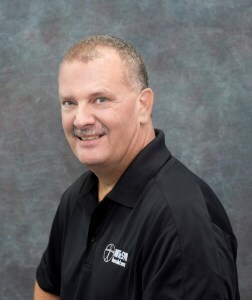 He has a degree from the ITT Technical Institute, Oxnard, CA in Electronic Engineering and has since worked in the sensors, electronics, aerospace, medical, and automotive industries. Over these past years, he has especially focused on lean manufacturing, Six Sigma methodologies and is certified in multiple ISO standards. What has drawn him to quality-roles this long is a passion for new and improving technologies, the contact with customers, and being able to ensure that things are built right the first time. When not dealing with audits or implementing lean manufacturing principles, a Central-Californian native, David has always found his way outdoors, often taking road trips on the weekend. His favorites are fishing, hiking, and camping. “It is a beautiful state,” he says! Artesyn is excited to be growing our quality team and we wish David all the luck at tackling future quality projects alongside the Artesyn Team!